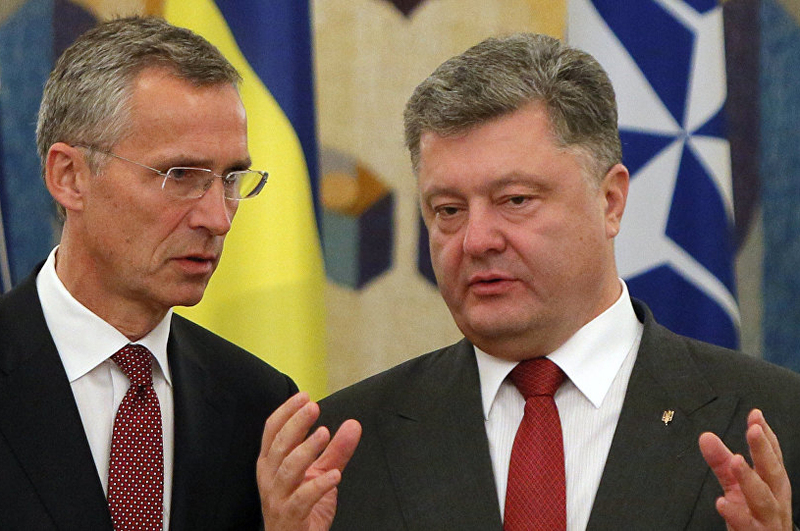 Ukraine’s president dropped a bombshell on Wednesday: he wants to hold a referendum on NATO membership. Viktor Poroshenko justified his comments by saying polls show 54% of Ukrainians favour NATO membership, up from 16% four years ago. While this trend is accurate, the recent inaccuracy of polling data raises questions about whether it should form the basis of such a consequential decision. Regardless of whether such a vote is held, Petro Poroshenko’s remarks will provoke anger – both within his own country and in neighbouring Russia. At its root, Ukrainian instability can be attributed to whether the country – less than 600 km from Moscow – forges closer ties with the West or looks eastwards to Russia. A sizeable portion of Ukrainians, mostly in the east, feel more Russian than they do Ukrainian. For these people, NATO membership is out of the question. Even if Poroshenko makes good on his promise, whether Ukrainians will vote to join the Western military alliance – and, indeed, whether it will have them – is a major question. A 1995 NATO study provides that states that have “external territorial disputes” must seek their settlement before membership is granted. This provides NATO leaders with a legitimate justification to hold off on Ukrainian accession, which is unlikely to make Europe (or NATO members) safer. Go deeper: Ukraine and Trump: undermining progress?